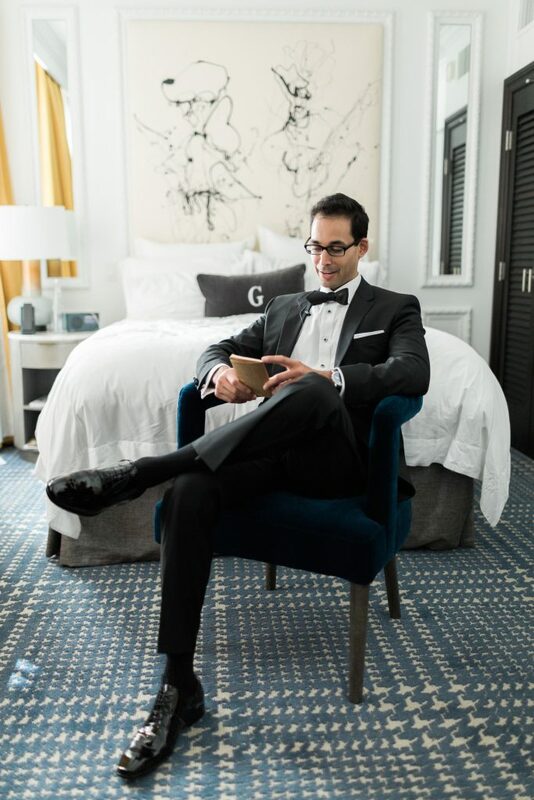 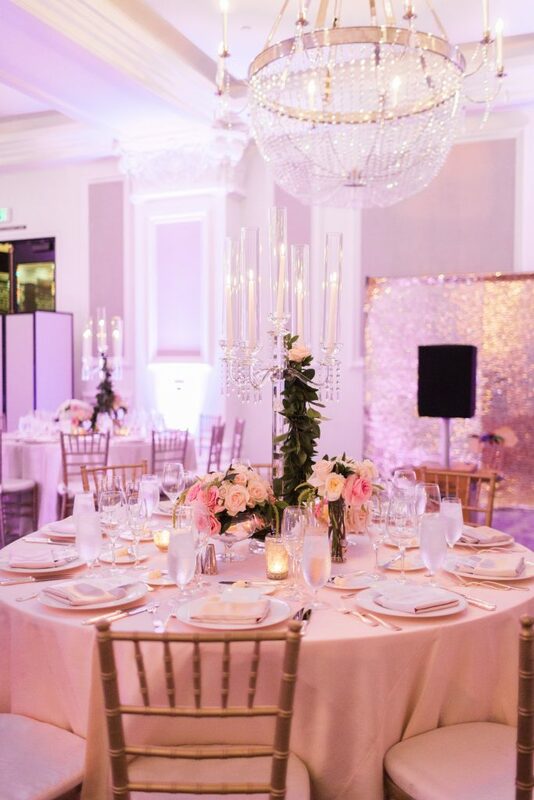 The historic U.S. Grant Hotel in downtown San Diego is iconic – known for it’s classic style and glamorous detailing. 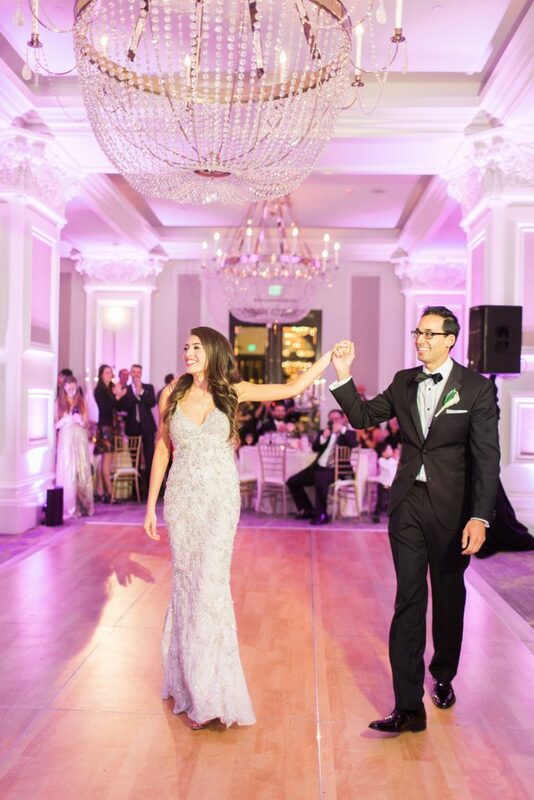 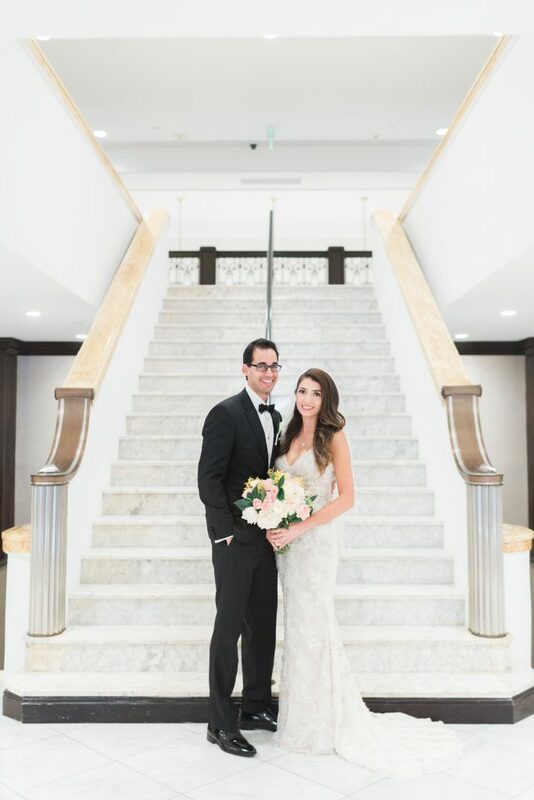 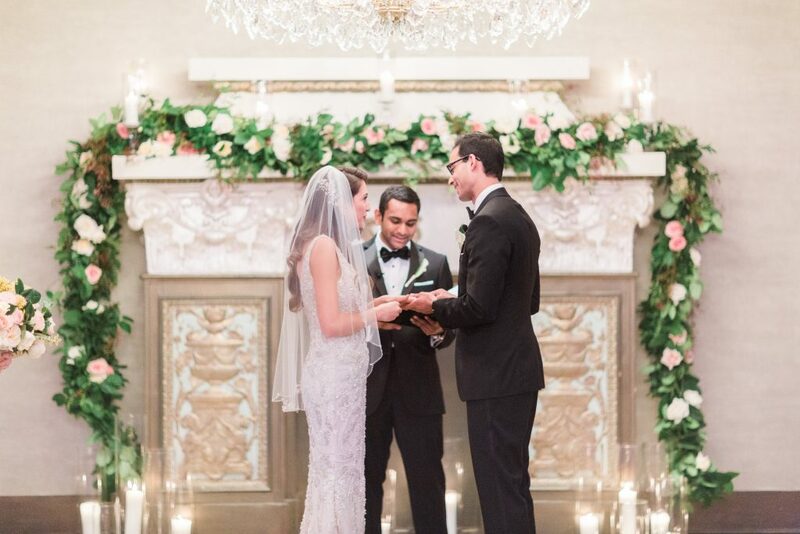 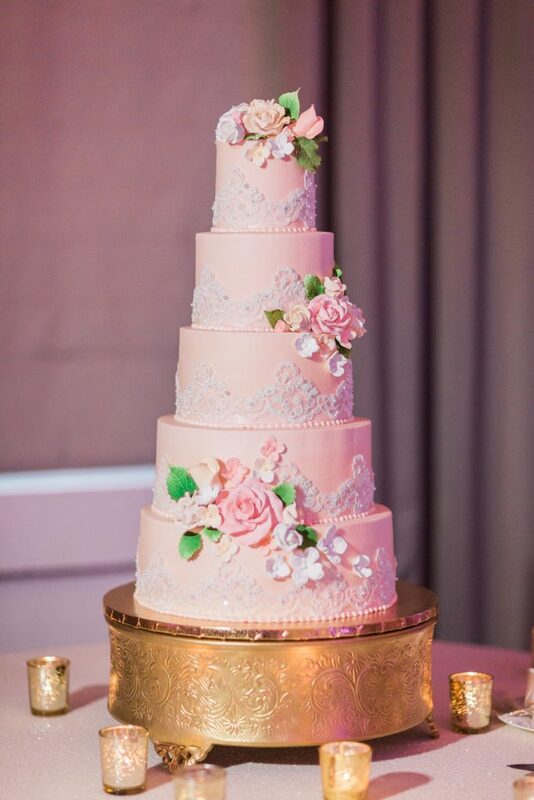 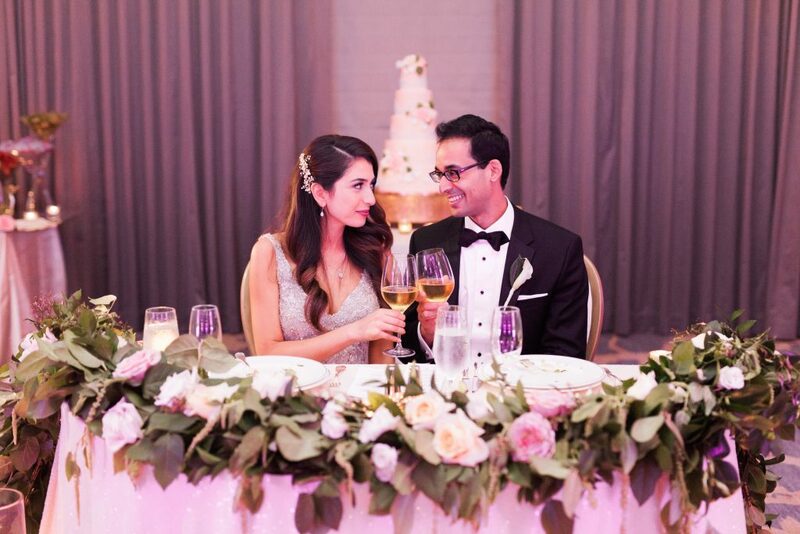 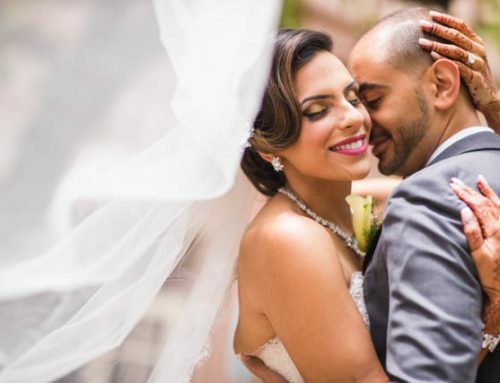 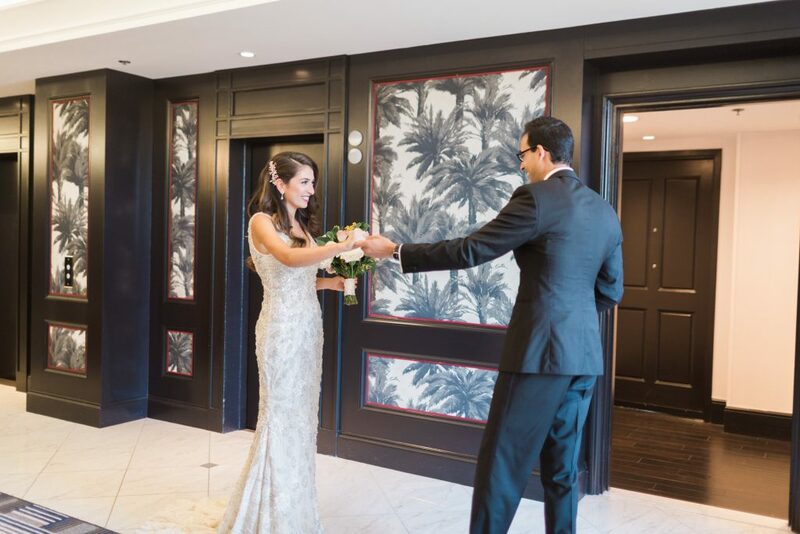 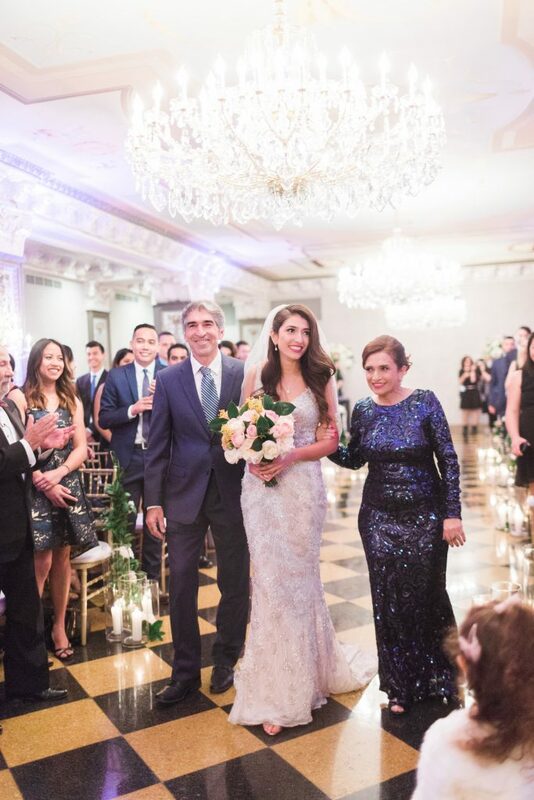 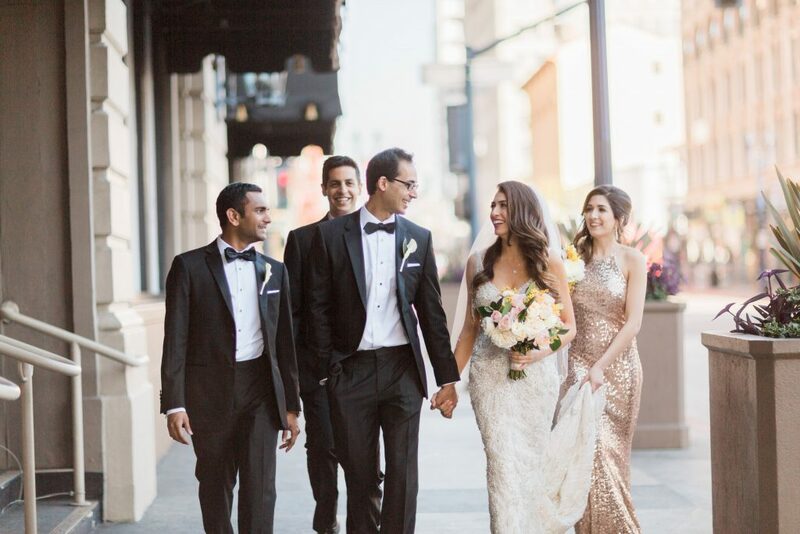 It was the perfect venue to celebrate Golnaz and Mohammad’s Persian wedding ceremony and reception. 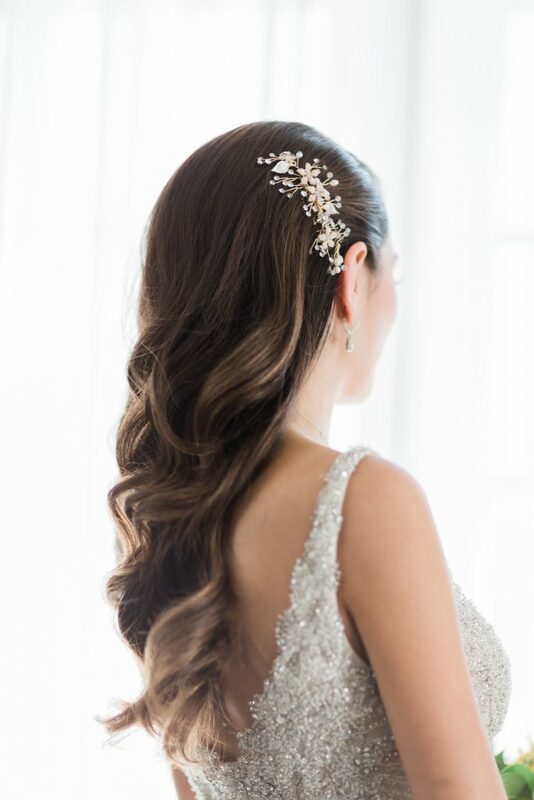 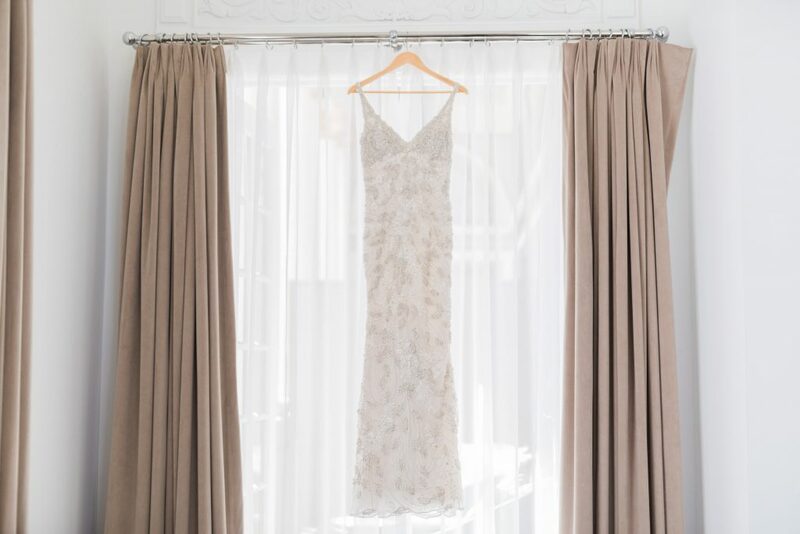 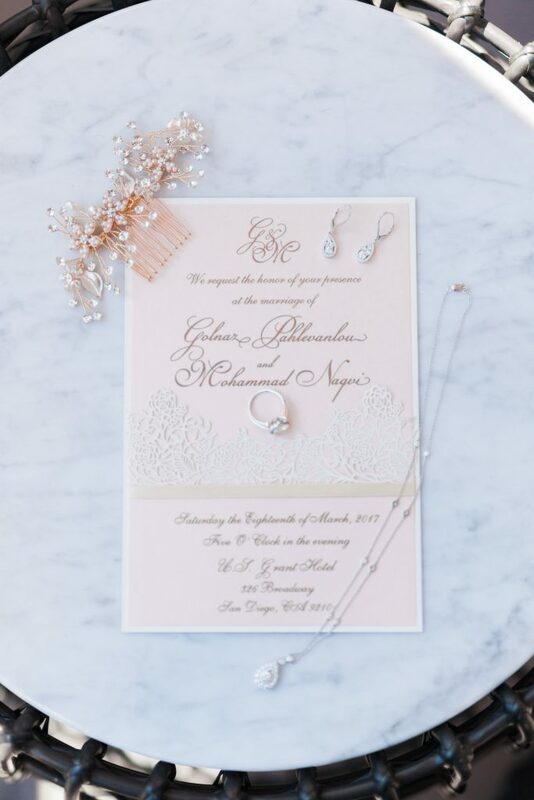 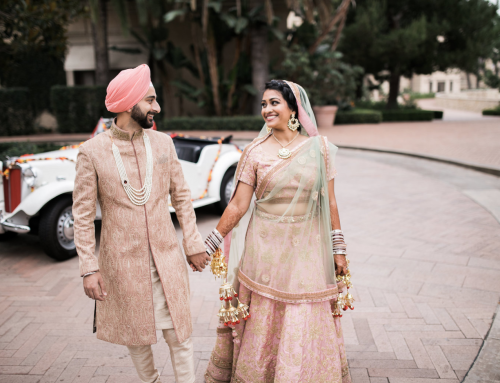 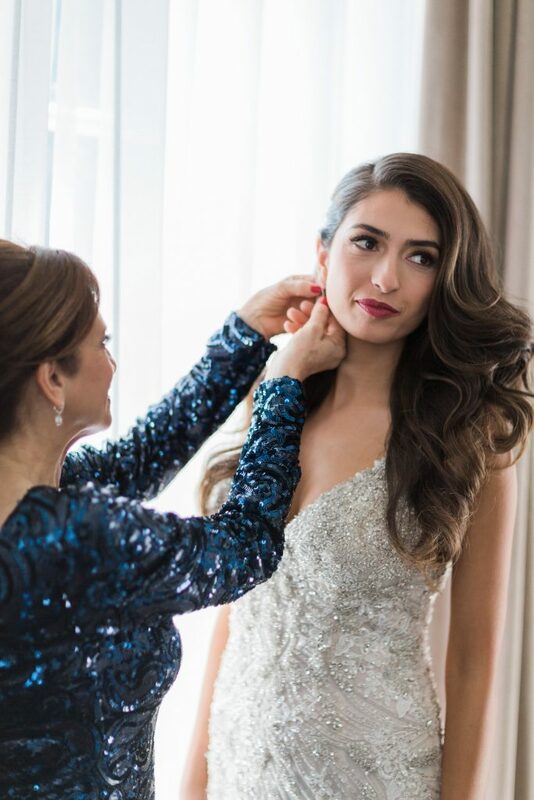 From the moment our blushing bride-to-be, along with her sister and mother began the getting ready-process, we knew we were in for a modern-day tale. 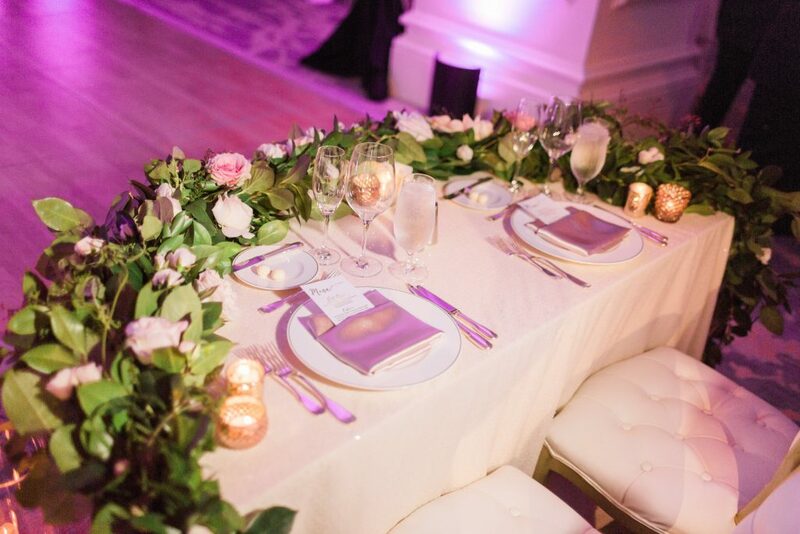 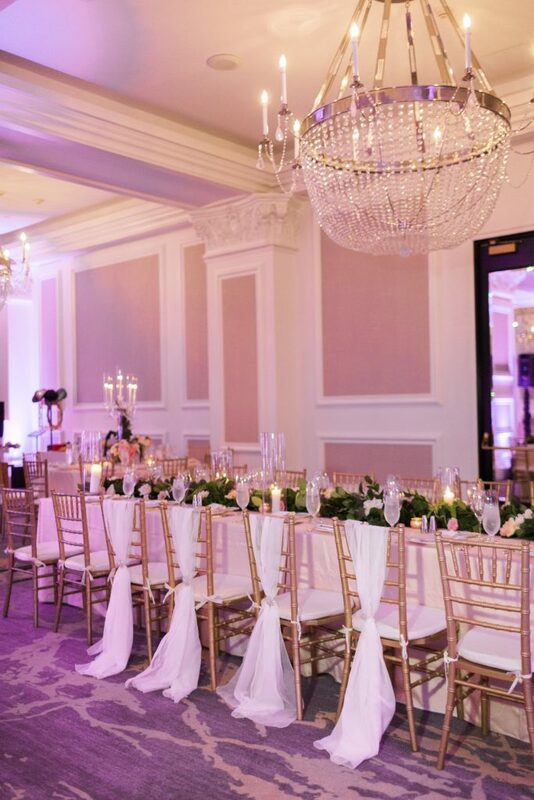 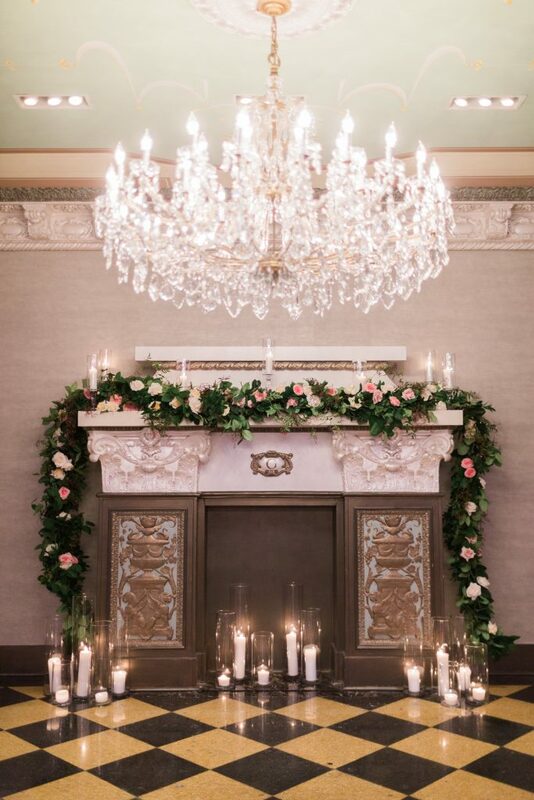 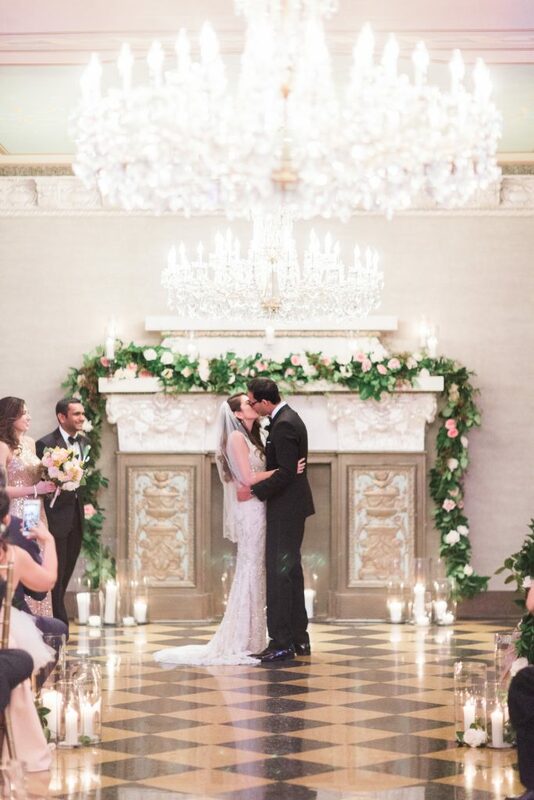 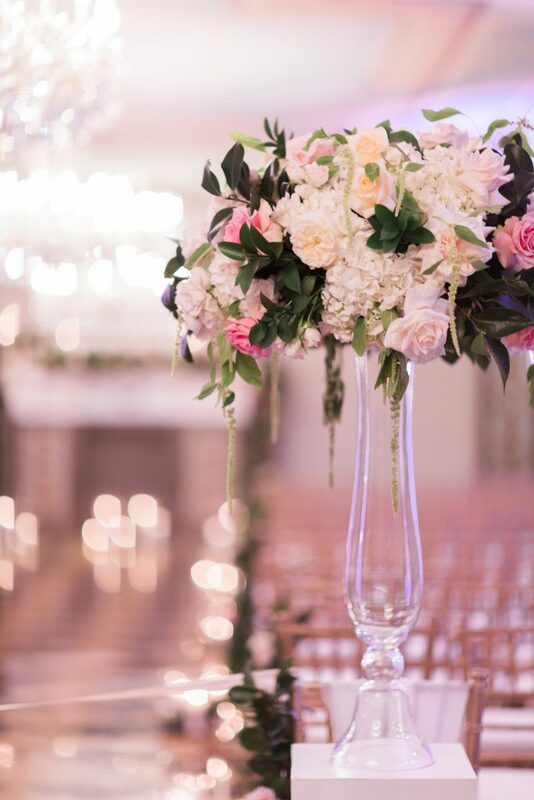 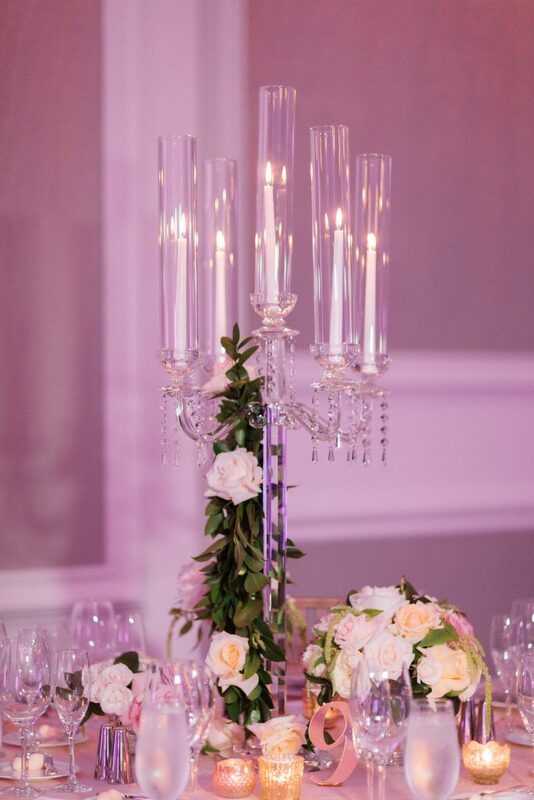 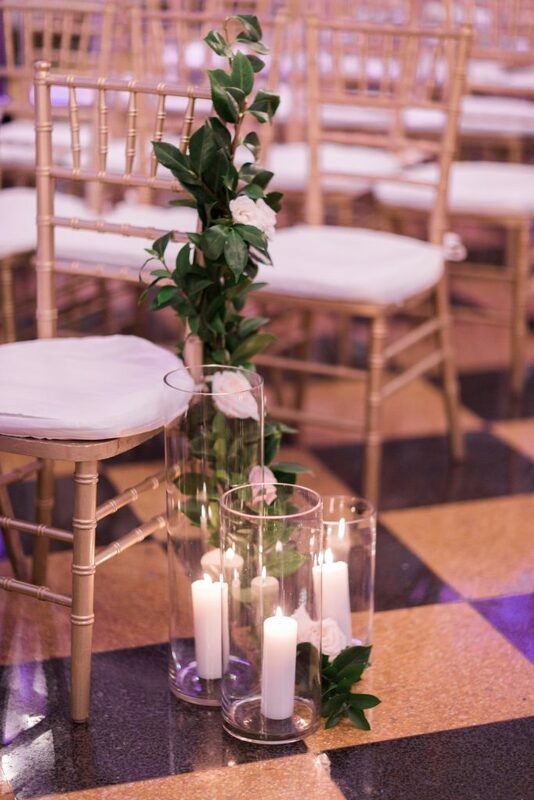 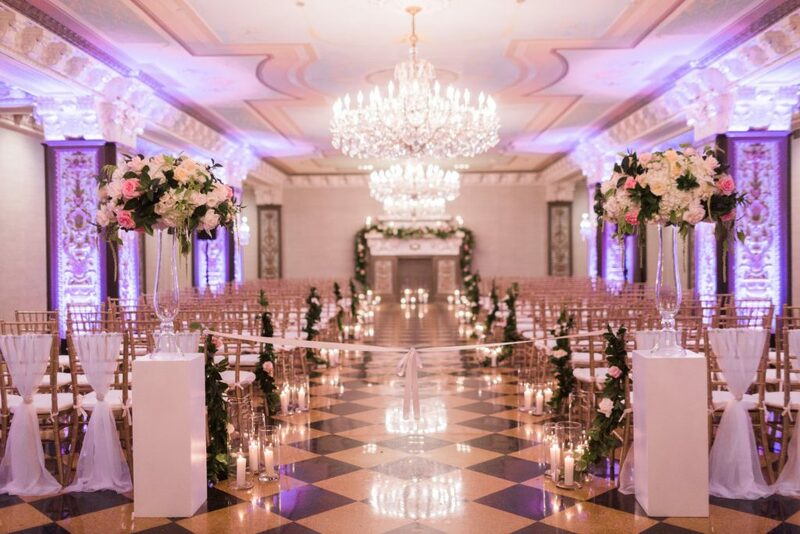 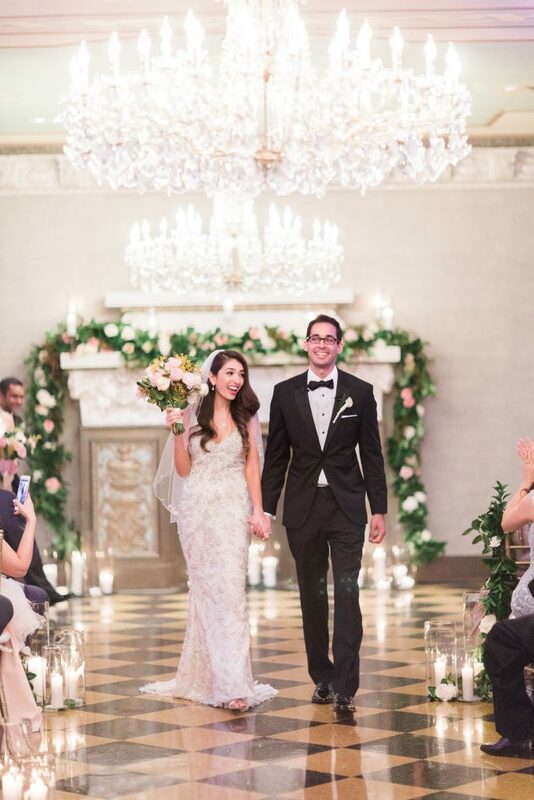 The blossoming garland of roses and hydrangea carried through from ceremony to reception in varying centerpieces with crystal candelabras for continued candlelight ambiance. 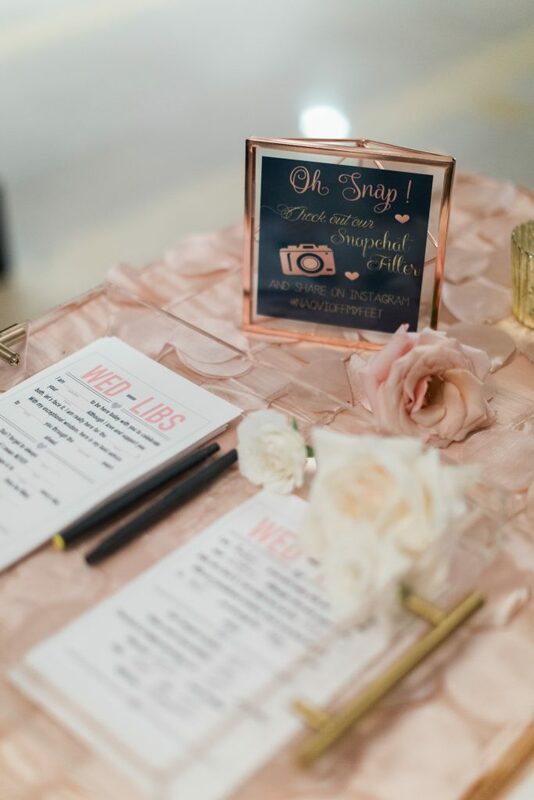 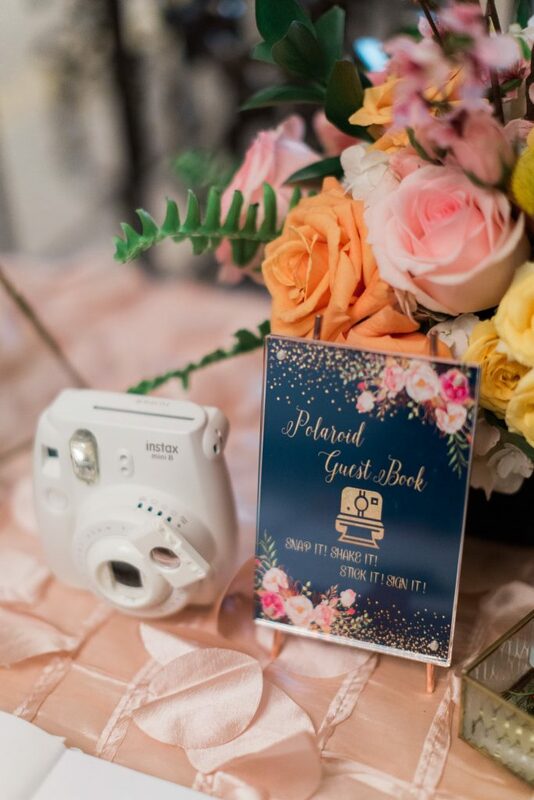 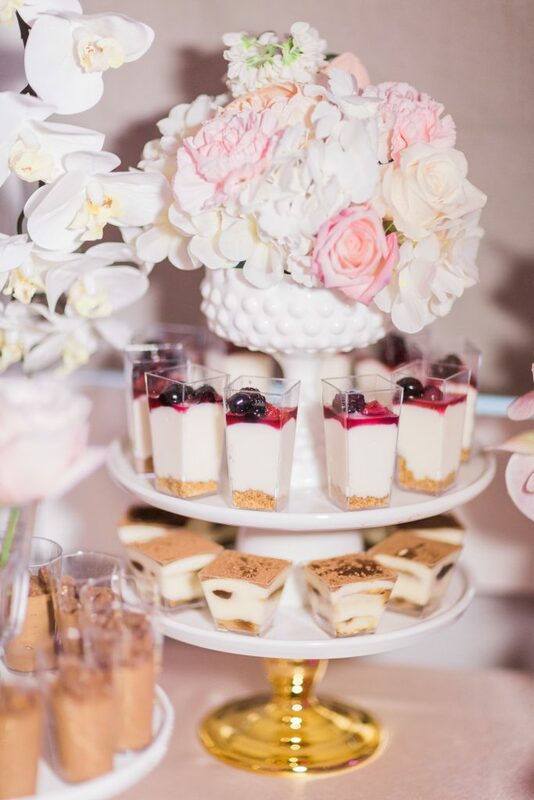 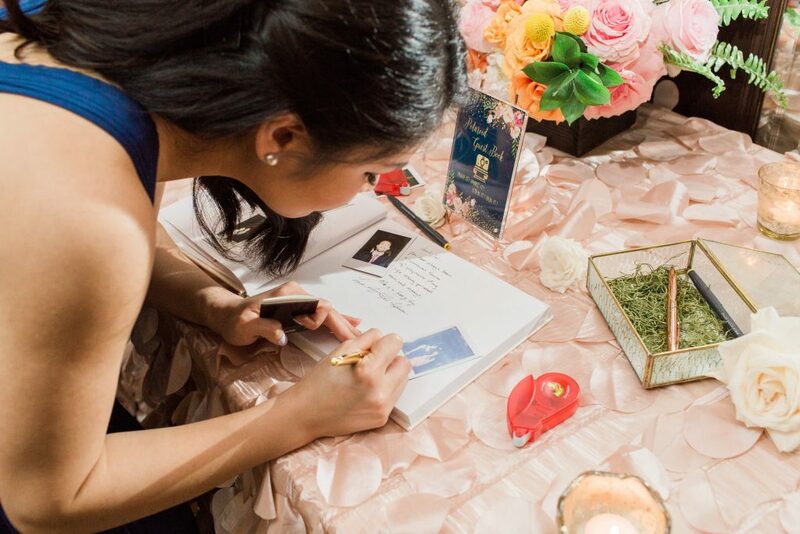 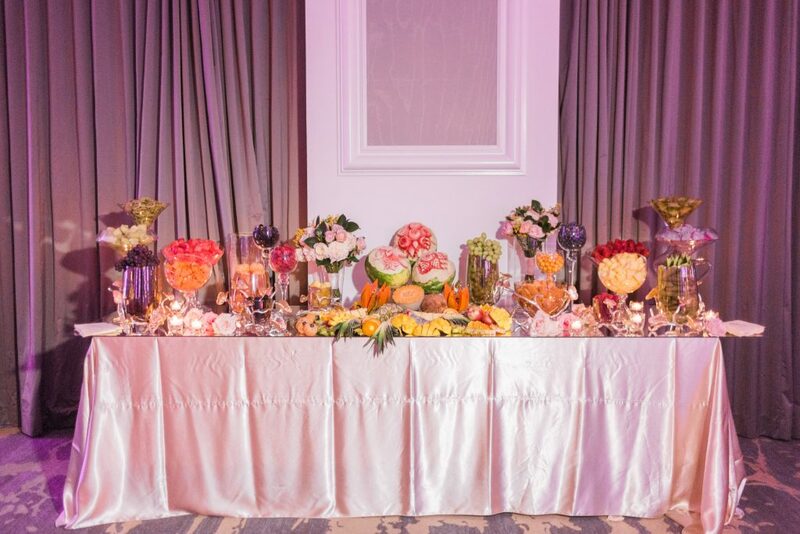 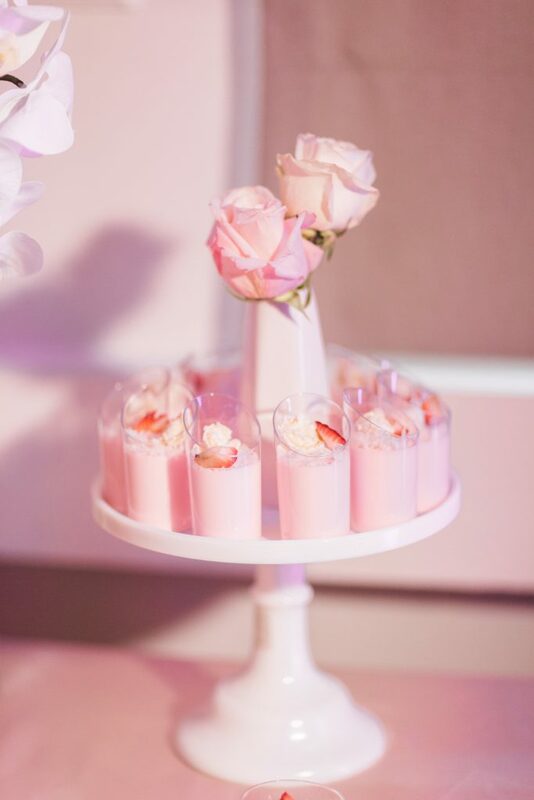 This fun-loving couple incorporated a few feel-good games for their guests — from wedding mad libs to a polaroid guest book and an indulgent display of fruit and sweets! 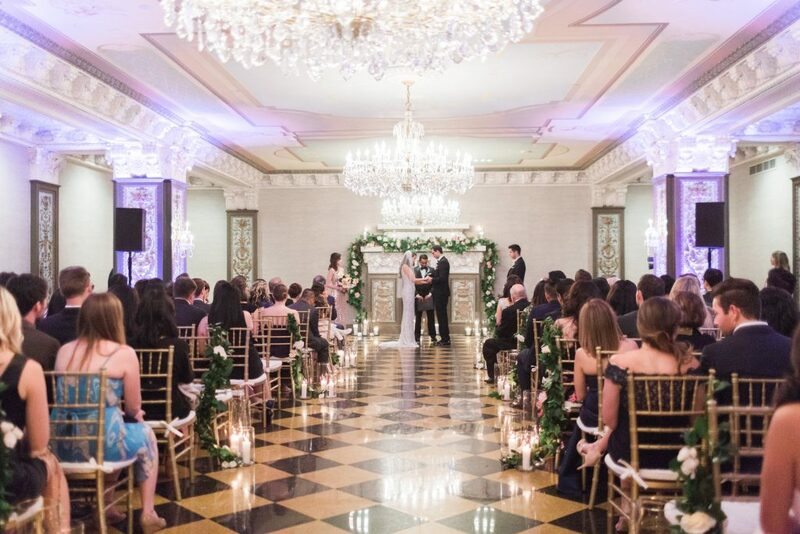 As always, the U.S. Grant sets the scene for an absolutely glamorous affair to celebrate this beautiful couple. 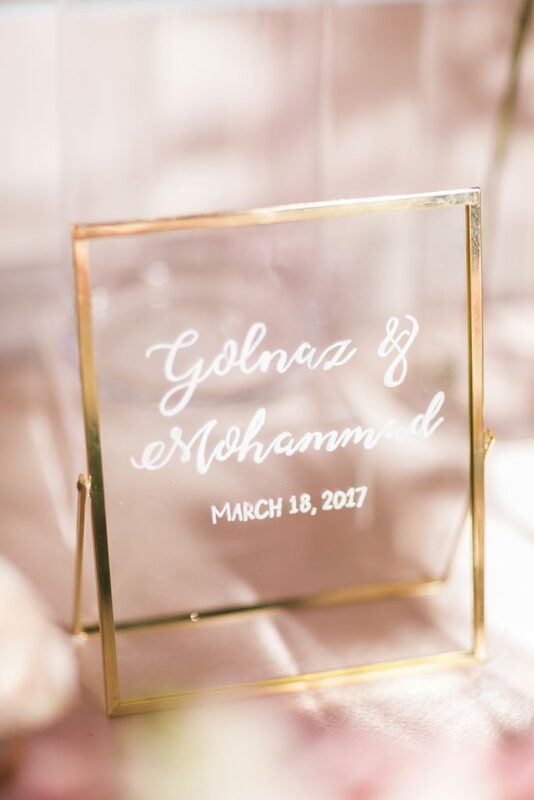 Congratulations to Golnaz and Mohammad! 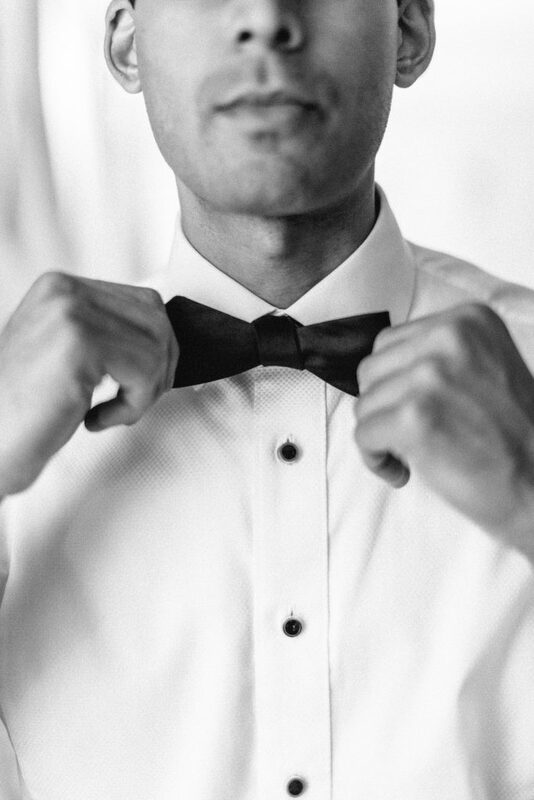 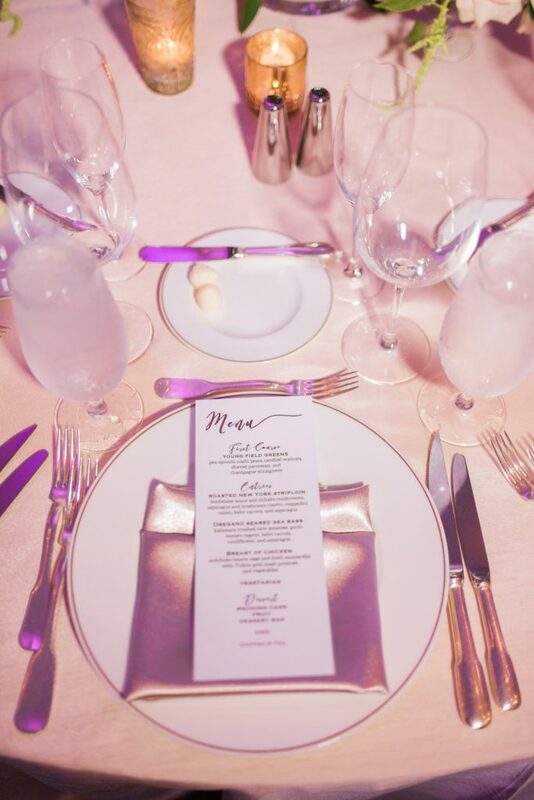 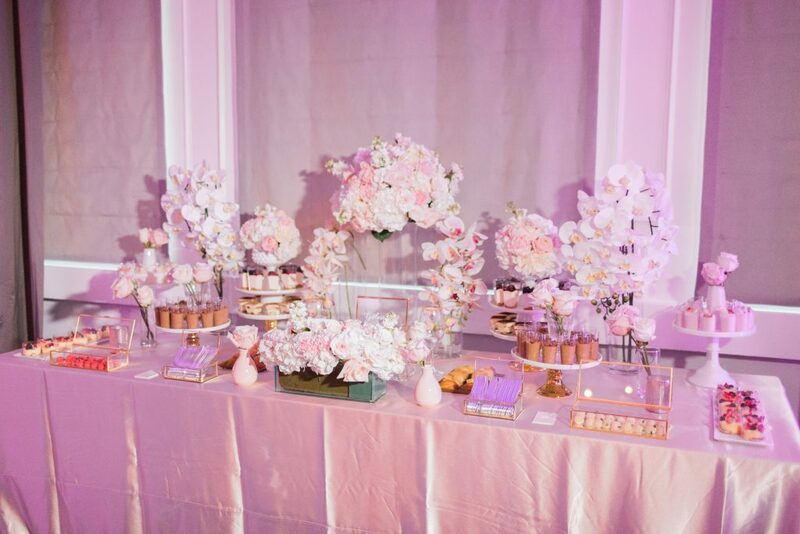 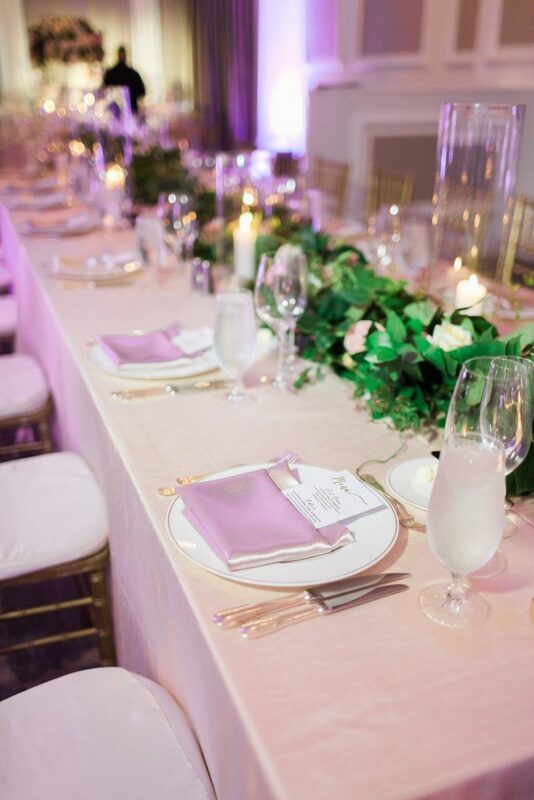 Nahid’s Global Events designs and plans luxury weddings and events for discerning clients of style. 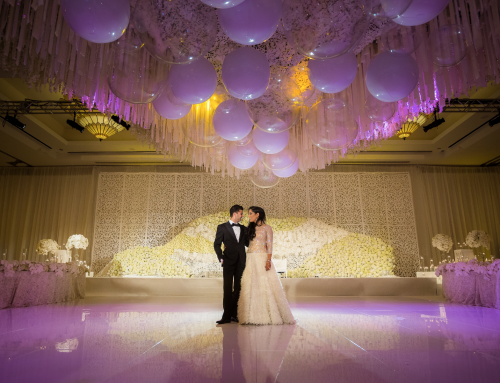 We offer planning packages and design services to fit everyone’s individual needs.